"Just because you're not hungry doesn't mean you're not affected by hunger." The Eagan & Lakeville Resource Centers invite you to a free community screening of "A Place at the Table." Featuring a light meal, film viewing, and a call to action on hunger, you'll leave full of critical information and hungry to do more to create a world where we can all have a place at the table. 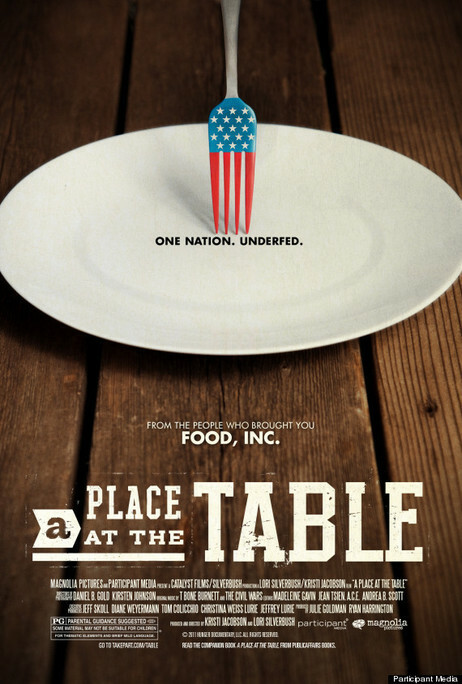 "A Place at the Table", an engaging and enraging documentary about food insecurity in America. 50 million Americans don't know where their next meal is coming from. Directors Kristi Jacobson and Lori Silverbush examine the issue of hunger in America through the lens of people struggling with food insecurity. Just because you're not hungry doesn't mean you're not affected by hunger. A light meal and beverages will be served. Copyright © 2013 Eagan & Lakeville Resource Centers, All rights reserved.